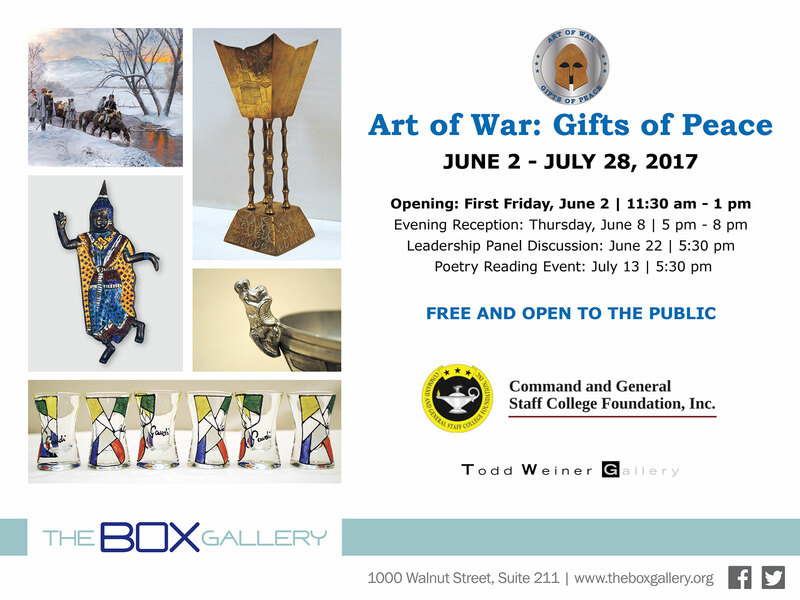 The Box Gallery in Kansas City (1000 Walnut St.) will host the second public exhibit in the CGSC Foundation’s “Art of War Initiative” entitled “Art of War: Gifts of Peace.” The exhibit opens on First Friday, June 2 and will be on display through July 28. 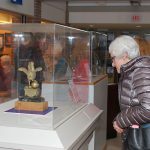 The exhibit is free and open to the public. The public is also invited to a free reception to celebrate the exhibit from 5-8 p.m., June 8. The June 8 reception will include a short program to enlighten attendees on the selections on display and about the CGSC Foundation’s “Art of War Initiative,” a project designed to preserve, promote, and protect the life and longevity of the CGSC collection. 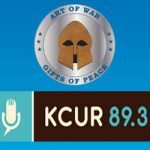 Later in the month the Gallery will host two other special events in association with the “Art of War: Gifts of Peace” exhibit – a discussion panel on leadership on June 22 from 5:30 – 8 p.m. and a poetry reading from 5:30 – 8 p.m. on July 13.